Skill and compassion go hand in hand when providing exceptional patient care. As a dental professionals, we stay up to date on the latest advancements in dentistry in order to provide the most current treatment options for our patients. We recognize that our patients are unique individuals who have placed a great deal of trust in us and our team. That is just one reason why we value each and every patient relationship. Our office appreciates the time you’ve taken to visit this site and find out more about this dental practice, our team, and the many services we can provide to help you achieve optimum oral health. 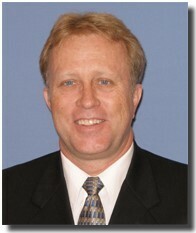 Dr. Andelin received his Doctor of Dental Surgery from Georgetown University in 1984. Following dental school, Dr. Andelin established a General Practice in Simi Valley, California. In 1995 Dr. Andelin joined the Navy and was selected to receive advanced education and training in Endodontics in 2000 at Loma Linda University. He completed a 2-year graduate program in Endodontics and received a Master of Science in Endodontics from Loma Linda University in 2002. While in attendance, Dr. Andelin was nominated for inclusion in the National Dean's List honoring students of superior achievement who are in the upper 10 percent of their classes.Dr. Andelin is a member of the American Dental Association, The California Dental Association, The Orange County Dental Society, and a Specialist Member of the American Association of Endodontists. He has presented research projects both locally and nationally and has co-authored/authored several published papers. His thesis research was featured on the cover of the Journal of Endodontics. as of September 1, 2010. Dr. Andelin and his wife Suzann have four adult children and ten grandchildren.